Sessions will face a full vote from the Republican-controlled Senate next week. Amidst fierce opposition from Democrats, the Senate judiciary committee approved Jeff Sessions, Donald Trump's nominee for attorney general, in a vote along party lines on Wednesday, The New York Times reports. Sessions, whose history on voting and civil rights have been the subject of intense scrutiny from Democrats, will face a Senate vote to confirm his nomination next week. The judiciary committee's vote comes two days after President Donald Trump fired acting attorney general Sally Yates, after she refused to defend his executive order on refugees and immigration and questioned its legality. During the confirmation proceedings, Democrats questioned Sessions's ability to go against the president on issues of immigration and national security. 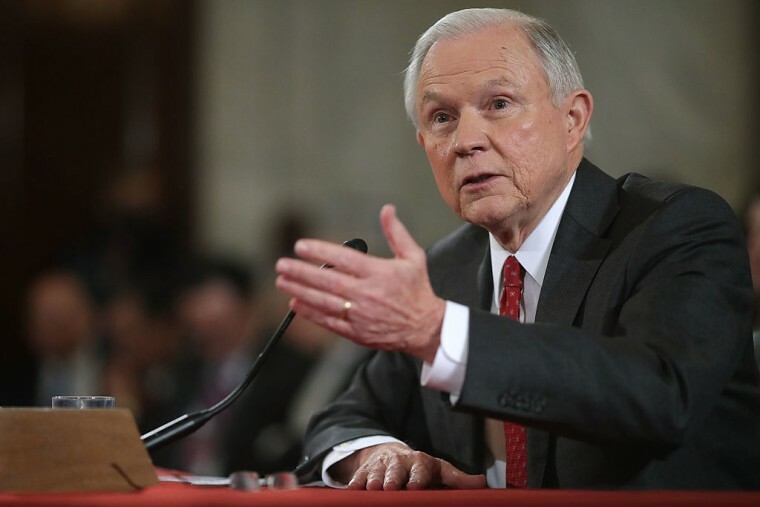 The vote on Wednesday was split along party lines, with the 11 Republicans on the committee voting in support of Sessions and nine Democrats voting to oppose the nomination. Sessions is expected to be confirmed by the Senate, as Republicans hold a 52-seat majority. On Wednesday, Republicans on the Senate finance committee wrote the rules of the panel and pushed through the nominations of Trump's picks for treasury secretary and secretary of health and human services.